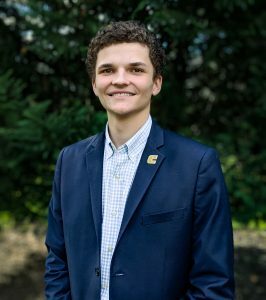 After growing up in Middle Tennessee, Casey Szatkowski now lives in Chattanooga and is a Junior at the University of Tennessee in Chattanooga pursuing a major in Finance Investments. Casey serves as the current Vice President of Risk Management in UTC's student-managed fund where he specializes in top-down allocation strategies. After college, Casey intends to attain his CFA designation and plans to work towards a career in portfolio management.